Breakfast and children – it IS definitely important!!! Yes, breakfast really IS important! You’ve probably always or often heard it’s the most important meal of the day, but why? Breakfast provides the fuel we need to get our day started, to let our bodies know it’s time to move and get on with the day. How do you feel when you don’t eat breakfast? Are you able to stay focused and accomplish the things you need to? Skipping breakfast, does not set up your day for success. 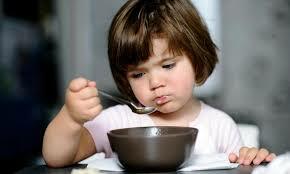 Skipping breakfast can make kids irritable and restless. They need that fuel to get going. Check out this link below for some excellent information about the importance of breakfast and some ideas to try. What you eat for breakfast matters. Including fiber in your diet (for breakfast and also throughout the day) is beneficial for your overall health, your digestive health and also helps you maintain a healthy weight. Today’s question: What are your favorite healthy, go-to kids’ breakfast ideas?